After taking time off to rethink my business model, I’m switching to a paid system in February 2019. 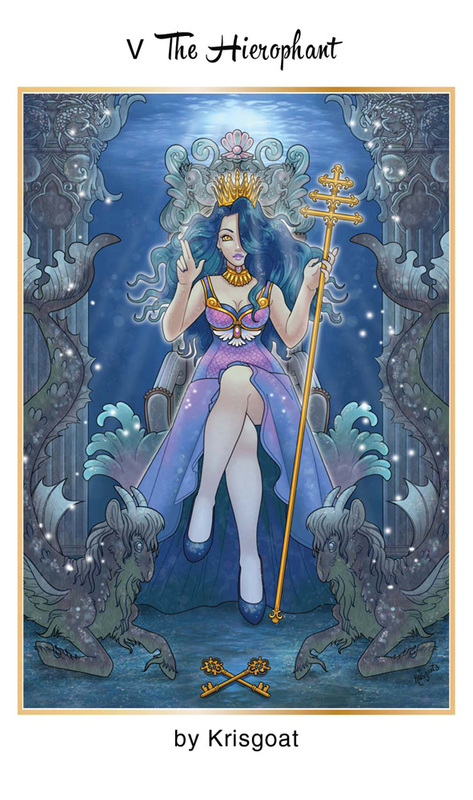 Until then, the full Tarot forecast is back and completely free for a limited time only. After February 2019, however, you will need to subscribe on Patreon to have access to the Full Forecast. Go to www.patreon.com/magdalenatarotinc to subscribe for just $1.99 a month! After February, you will only have free acess to card images and the mantras without a subscription. Don’t miss out, subscribe today! It’s the 4th week of the year and the card of the week is the Hierophant. Most of the transits this week encourage us to question and defy the norm after this eclipse and the Heirophant appears enouraging us to create the new order of things. The number of the week is 4, reminding us that it’s possible to have a peaceful revolution and maintain stability without breaking the systems that are in place. The Ace of Swords is a card of flashes of illumination. What has the eclipse brought to light for you? How will you move forward? Mars square Saturn at 3:16 A.M. PST is a transit that encourages us to work slowly and methodically. The eclipse energy is still settling so be careful of making rash decisions today and don’t fear the changes that are on the way. If you wait it out and don’t make a move, Moon trine Mars 6:19 P.M. PST will bring you the courage to be able to know when to act and when not to act. Moon trine Venus at 8:43 P.M. PST is a transit that brings creativity and beauty to the evening. Pay attention to what strikes you as beautiful. Moon trine Jupiter at 9:11 P.M. PST will bring happiness and optimism to your night. 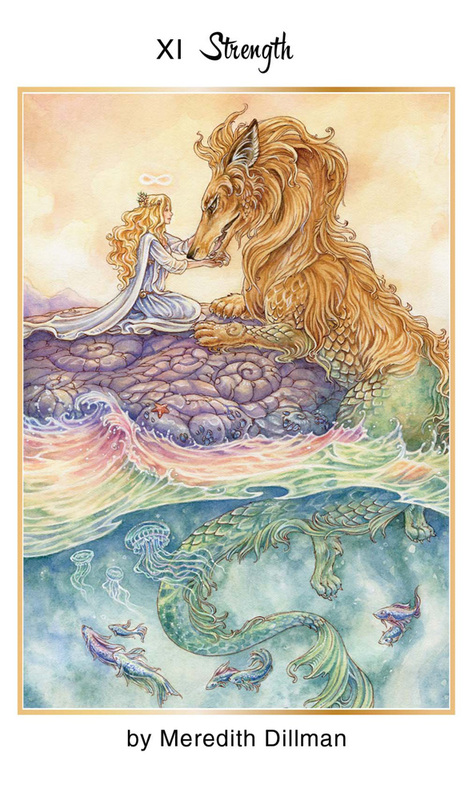 The Moon is in the illuminating sign of Leo so pay attention to what comes to light today. The number of the day is 7, a number of ineffable mysteries. Mantra: Inspiration comes in a flash. The Strength card is a card of mutual appreciation. The young woman is gentle with the lion and in return, he protects her. What opposite forces are attracting in your life today? Venus conjunct Jupiter at 4:26 A.M. PST is a lucky transit, especially for lovers. It’s easy to be in a good mood today and it’s time to appreciate all the wonderful things in your life. Relationships could begin unexpectedly under this transit that may have been considered unlikely yesterday. Moon trine Uranus at 5:19 P.M. PST is a transit that brings revolutions and shakeups. If you need to make a change, the universe has your back. Just wait to act until after the Moon stations direct in the persnickity sign of Virgo at 7:22 P.M. PST to make sure you don’t miss a beat. The number of the day is 8, a number of karma. 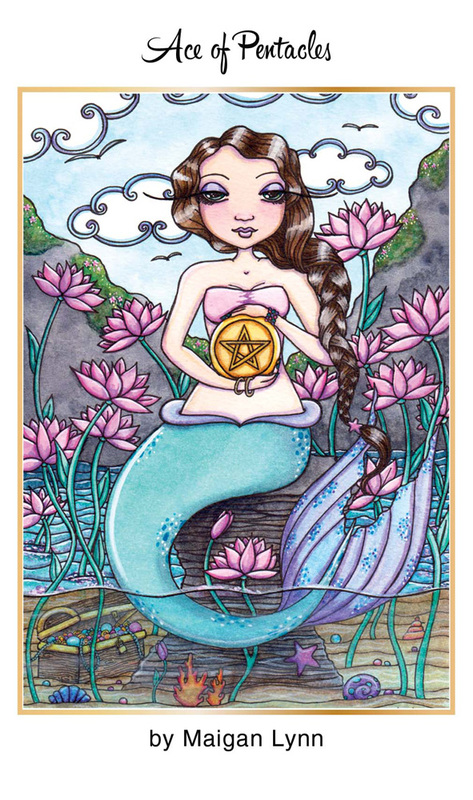 The Ace of Pentacles is a card of new beginnings in prosperity. It represents all the earth signs and is like a freshly planted seed, ready to grow your dreams into reality. Mercury square Uranus at 3:13 A.M. PST is a transit that brings a need for excitement. You may find yourself teetering on the edge of nervous boredom so watch your caffeine intake today. The day will seem to fly by so make sure to write down of all the creative ideas you may find flooding your mind. Put these ideas aside for later and take time to consider if they’re good ideas to act upon or not when things are not so volatile. Moon trine Uranus at 5:19 P.M. is a transit of shakeups. It’s a good time to do something out of the ordinary to bring about change but be careful what you wish for, you just might get it. Mercury enters the revolutionary sign of Aquarius where he will stay until 2/10/19. 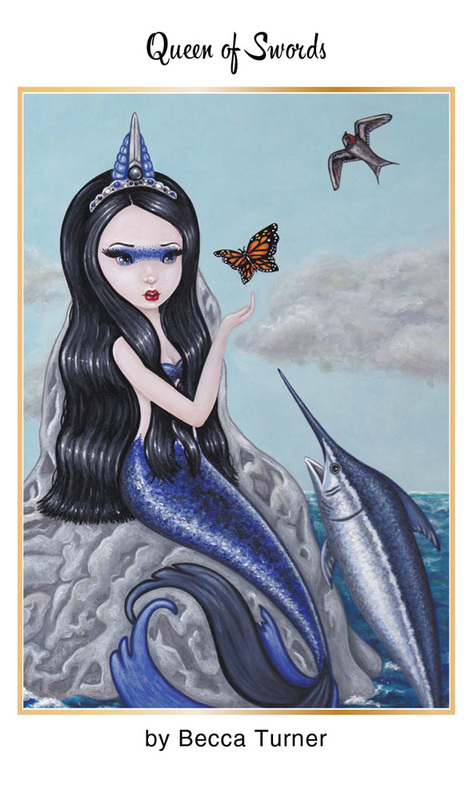 When Mercury is in Aquarius people may break the rules and call people out. This is a time to celebrate your quirks and impress people with your wit. Stand up for what you believe in and speak out if you want to be heard. The Moon is in the detail sign of Virgo today reminding you that the best plans are the ones that are well laid. The number of the day is 9, a number of near completion. Mantra: Before you plant a garden you must first till the earth. 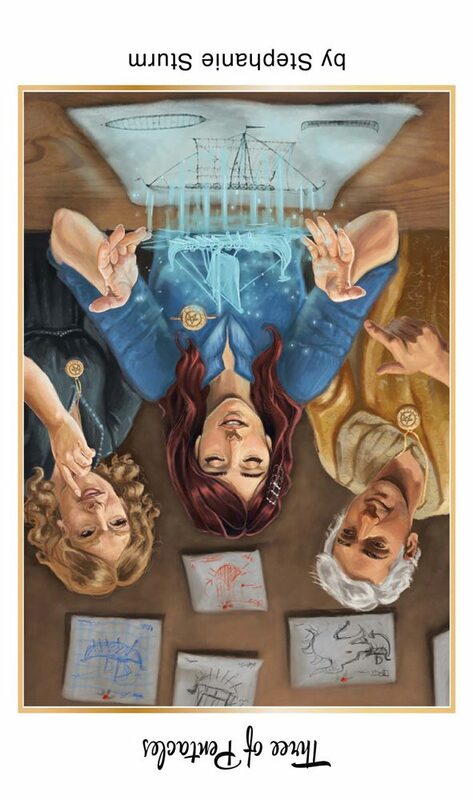 The upright Three of Pentacles is a card about working together as a team for the same goal. Reversed it could mean the opposite. You may be feeling fed up and wanting to go it alone in matters revolving around working with others. Take the space you need and figure out how you can resolve these frustrations. Moon square Venus at 12:27 A.M. PST is a transit that demands attention and it doesn’t matter if it’s positive or negative. Take a step back and see if you or the parties that you are annoyed with are making unreasonable demands. Moon trine Pluto at 5:50 A.M. PST is a transit of intense emotions. It’s time to sort out what’s working for you and what’s not. Moon trine Mercury at 10:56 P.M. PST is a transit of flowing communication. Negotiations can work if both parties are open and honest with each other. It neve hurts to try to talk things out. Moon is void of course in Virgo between 5:50 A.M. PST and 8:02 P.M. PST. Make sure you’re not missing any details. The number of the day is 1(0), reminding us that three is the sum of 1+1+1. Mantra: Successful people know how to get along with others. 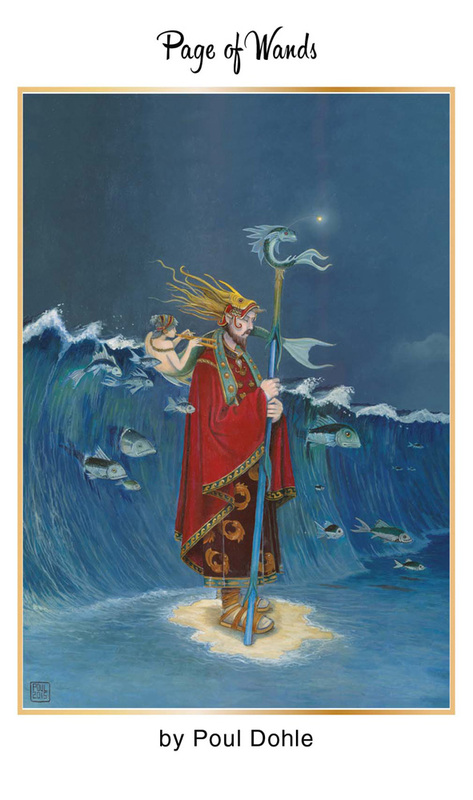 The Page of Wands is a traditionally masculine person with youthful enthusiasm. If he does not represent you he represents someone that you may come into contact with today. If something new is starting, take that spark and make a fire. Don’t let that excitement burn out. Moon trine Sun at 4:48 A.M. PST is a transit of happiness, harmony and flow. Things are going your way today. Mars conjunct Jupiter at 9:53 A.M. PST is a transit that will bring the kind of confidence that can move mountains and get things done. This lucky transit will give you the crystal clear vision you need to see the big picture and what lies ahead. Use this glimpse into the future to your advantage. Moon square Saturn at 8:10 P.M. PST is transit that may feel leave you feeling down and out from the energy drop earlier after all of the excitement earlier in the day. To prevent this, pace yourself and don’t let yourself get burnt out. The Moon is in the karmic sign of Libra all day so everything that comes your way today has done so for a reason. The number of the day of the day is 2, a number of light and shadow. 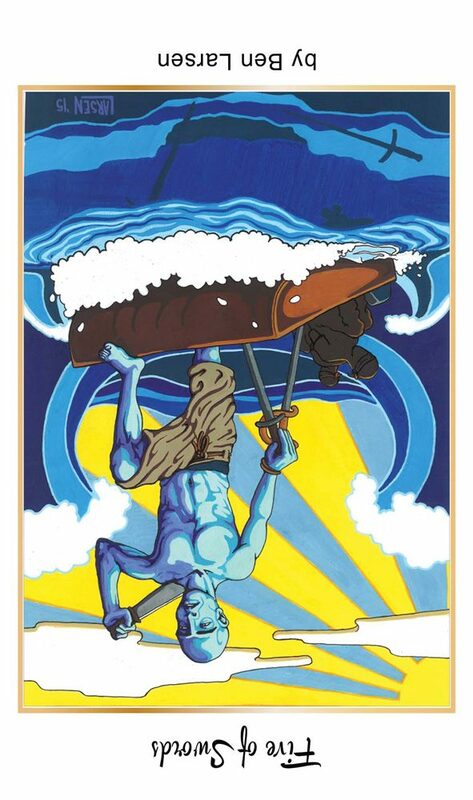 The 5 of Swords Reversed is a card of longing to move on after what seems like a never-ending conflict. If you’re feeling haunted by something that went wrong, it’s time for you to do what you know is right to put the conflict to rest. It may mean compromising, but it’s best to be the bigger person when you know that’s the only way to move on. Moon sextile Jupiter at 12:23 A.M. PST is a transit that brings positivity and optimism to the day. Moon opposition Mars at 12:5t6 A.M. PST may turn things sour as bickering may begin to take hold. However, things will be sweetened under Moon sextile Venus at 7:03 A.M. PST as Venus reminds us of the beauty in doing everything in love. Moon square Pluto at 8:30 A.M. PST is a transit that may find you confronting your emotions. Listen to your heart and it will tell you what you really want. Moon opposition Uranus at 9:21 P.M. PST is a transit that could bring shakeups so choose your battles wisely and determine if you really want to go to go to war. The Moon spends most of the day in the karmic sign of Libra but She does go void of course between 9:21 P.M. PST and 11:31 P.M. PST when she enters the secretive sign of Scorpio. The number of the day is 3, a number of things coming together. Mantra: Sometimes it’s better to swallow your pride than fighting a fight that you can’t win. 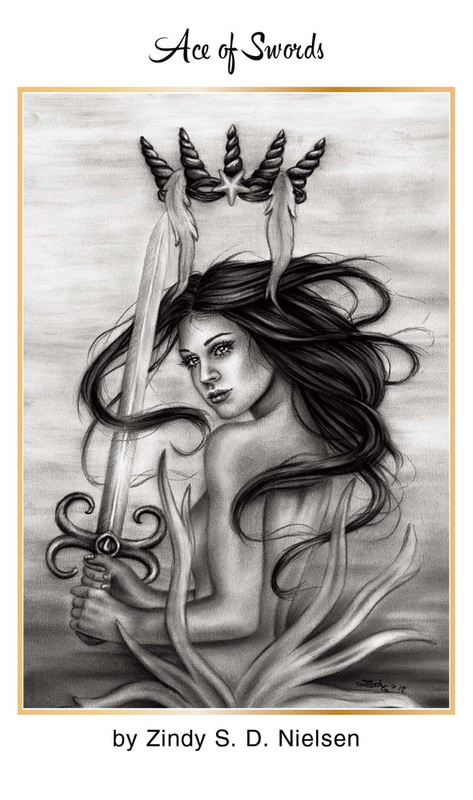 The Queen of Swords is a logical, shrewd woman who is not easily fooled. If she doesn’t represent you, she represents someone you will come into contact with today. Moon square Mercury at 9:59 A.M. PST encourages you to listen objectively to what you hear because communication may be skewed. Moon square Sun at 1:10 P.M. PST brings the last quarter in suspicious Scorpio. If something doesn’t set well with you, look at the facts. The secret will be revealed as you discover what you need to know to overcome this last hurdle in this lunar cycle. The number of the day is 4, a number of stability. Mantra: Differences only exist in the mind. This entry was posted in 78Tarot, art, Astrology, Books, eclipse, mysticism, mythology, Nautical Tarot, numerology, occult, self help, spirituality, Tarot, Uncategorized, witchy, Writing. Bookmark the permalink.